Flush-Mount Scissors lift, no more worries about lowered vehicles or expensive spoilers. Electro, Hydraulic & Pneumatic systems. Lifting power is higher due to double cylinder structure. Easy for tyre of mount and dismount and chassis maintenance. This installation is very tidy and ideal for “Hi-Tech” workshops. 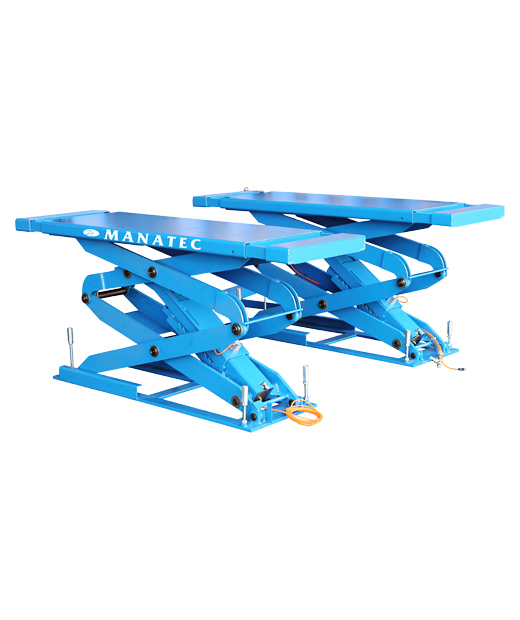 FULL RISE SCISSOR LIFT – English.